As of April 1st 2017 though, the Chinese government has rolled out a new work visa system nationwide. This article will highlight the documents needed to work safe and legally in the country, as well outline the process of obtaining the visa, and provide some advice that I feel qualified to give after having gone through the long and laborious process myself. So let’s start with how the new visa system is set-up. To summarize the new system, the government will review a list of applicant criteria such as educational background, previous employment, and ability to speak Chinese, among some other factors. From there, the government will put you into one of three tiers: “A for high level talent, B for professional personnel, and C for foreigners who are nontechnical or service workers hired on a temporary/seasonal basis” (China’s New Foreigner Work Permit System Goes National On April 1: Have you Checked Your Employment Contract?, 2017). For more information on the different visa statuses click here. Prior to this new system, work permits had been comprised of two documents, the foreign expert certificate, and the Z visa, but now, the work visa will be a single permit that reflects whichever tier the applicant scored into during the application process. Did you get all that? Although it may seem a little confusing now, it’s speculated that the new system will make things faster and easier in time. So now that we have a little background on the current visa situation, let’s take a look at what documents are needed to get the proper work visa and begin working safely and legally. Have your previous employer write you a short letter listing the duties and responsibilities you had when at your last position. Highlight job title, projects completed, and other contacts. The document must be signed or sealed by the owner of the company (or upper management). Your college diploma. This document must be authenticated by the state. We’ll talk about how to get documents authenticated in the next section. Certificate of no criminal record from mother or residential country. Document must be approved by the security department or by notary. Have your school or agent email you the form. The medical inspection form should be in Chinese and English. The inspection consists of X-rays, blood tests, EKG readouts, and other routine check-up items. It takes about an hour. This document must have the official hospital stamp or notary. Headshot photo from within the last six months. We had to redo our photo several times. One time because we didn’t have 2 inch margins, and another time because our background was just slightly off-color. They are very strict on the guidelines. I sent my TESOL certificate to my employer, but they didn’t seem to really need it. They were much more interested in Krissy and I’s college diplomas. Keeping that in mind, I have heard of others being required to submit an authenticated copy of their TESOL certificate. Be sure to doublecheck with your employer. Once you have all the above documents, you can send them to your employer or your agency. The next step is for you to fill out the application form. Have your employer email you the application form. It asks basic questions about your experience, contacts, education, criminal history, and Chinese fluency. Be sure to digitally edit or paperclip a headshot photo (matched to the specifications above) to the upper right-hand corner of the application (it’s marked). Once you’ve completed the application and scanned and emailed all your proper documentation to your employer, you’ll be on to the next phase, waiting. The Chinese government can take up to ten days to review your material and decide on whether they want to issue you an invitation letter. Assuming immigration decides in your favor, your employer will receive an invitation letter, which they will then need to send to you. I asked my employer if they could email it, and they told me it had to be posted. Consider paying for express mailing. The next step is to get the visa into your passport. This will require you to get your invitation letter and the above documents (may vary depending on service or agency) to a Chinese consulate in your home country. Unfortunately, the Chinese embassy does not allow you to post your documents directly to them, which leaves you with two options. You can submit your documents in person, or you can pay a company to present them on your behalf. If you don’t live near an embassy, consider the second option. There are plenty of Chinese visa services available. The cost for them to facilitate your visa processing is around $170 USD. If you do use a visa service, you can expect the process to take about six days, unless you pay for expediting. If you show up in person at the consulate, the processing could take as little as one day (overnight). So now that we have the basic process outlined, let’s look at some advice for achieving optimal success with the visa process. Lots of documents are going to be emailed and posted back and forth. Worst of all, these documents are going to get passed through at least one government agency, whom I’ve come to find out typically process documents at the pace of a snail. We originally allotted about a month to get the visa. Despite having all our documents, getting the documents authenticated, shuffles in the mail other mundane setbacks delayed the process, and we ended up needing about two and a half months. So trust me, even if you think you have everything set to go, expect setbacks and allot yourself a little extra time. Since it’s likely the process is going to take up to two months, you might want to wait to quit your current job. In the case of my lovely lady and I, our employer set the expectation that we would be able to complete the visa process and come work much quicker than was actually possible. We had quit our jobs a month before to prepare for China. When it started to become clear that things would move much slower than originally assumed, we regretted not holding onto our jobs a little bit longer. Chinese schools typically start in late August or early September, so as an alternative you might look for seasonal work. Even though many teaching positions across China offer airfare reimbursement, it’s usually repaid upon completed of the contract. So you’re probably not going to see that money come back until after six months or a year. You’re also going to have to pay to get each of your documents authenticated, plus any postal fees. Let’s not forget about using a visa service or paying for the visa at the home-based embassy. Just make sure you have some left over for your first couple weeks in China without pay. Let’s estimate a quick cost breakdown. *These are based upon my own estimations and are meant to just give a ballpark figure. They will most likely fluctuate dependent upon your unique situation. This is probably more likely to be true if you work for a small school or agency. Expect communication errors and document blunders. Remain calm, and try to remember that it’s all part of the fun! This will really help speed up the process. In the United States, I paid the government an extra fee to have my document authentication expedited. They expedited the authentication process, but then didn’t stick it in the mail until many days later. When they did put it in the mail, they put it in snail mail. Putting a return envelope in your packages will make it easy for everyone, and ensure your documents return to you quicker. When I first returned to the states from Thailand, my employer was emailing me the application form and requesting me to send all my documents for the Chinese visa. I spent a lot of time, and a good amount of money in Kinkos and other print shops taking care of my office needs. Finally, I decided to go to the library and reopen my old account. Emailing and scanning in the print shops was costing me $15.00 a shot. Later, when I went to the library, I did the same amount of work, and it was free! Many jobs offer free accommodation, but make sure you know whether or not you’re going to be responsible for paying rent and deposit when you get to china. Rent is paid in increments of three months at a time, and with an initial deposit, can end up being a big expense. This is a good moment to also remind you to doublecheck your contract. When Krissy and I were originally connected to our employer through a third-party agent, we were told we would receive free accommodation. Later, when we signed the contracts, there was no information about accommodations in the paperwork. Foolishly, we signed anyway, and then later were told we were responsible for paying for accommodation. There was no absolutely no malice behind this incident, it was just a simple communication error. Luckily, the school clarified that they did have free accommodation available, it was just housed on the school grounds, so they didn’t think we would want to live there. Regardless, just make sure you doublecheck your contracts. There are much worse contract stories floating around out there. The city I’m going to teach in is about three hours from Shanghai by bullet train. It’s about $150 dollars cheaper for me to fly into Shanghai than my destination city, and the bullet train only costs $30. While it may not be worth the extra time if you’re on a hustle or if you’ve got a little extra cash to blow, if you’re really on a budget, it can help you save a couple of pennies. If you’ve got your visa in hand already, booking your ticket a couple weeks out can be another good way to save a hundred bucks or so. I’m sure you’ve heard stories of people going to China on student and tourist visas, starting work, and then getting their work visa once they were in the country. While some employers will facilitate this routine, it’s technically illegal, and while it may not have been strictly enforced in the past, now may be the worst time ever to roll the dice on this one. If you’re employer insists that you come to China on anything but a work visa, you should insist that they get you the work visa before coming over. With the new system in place, now more than ever I’ve heard a slew of immigration horror stories. It’s better to be safe than sorry. Not entirely related to visas, but just a good tip not to forget. Remember, there’s no YouTube in China. A simple inquiry in the search bar and you can find enough materials to establish a useful foundation. There are also some great phone apps out there as well. It’s not a bad idea to practice learning Mandarin a couple minutes a day while you’re waiting on your visa. Things are likely to move kind of slow with the new system in place. Don’t be surprised if your employer struggles with the process a bit. Make sure you have a fair amount of money saved, and expect delays. While the visa process may sound complex, pricey, and laborious, the payoff is sweet. 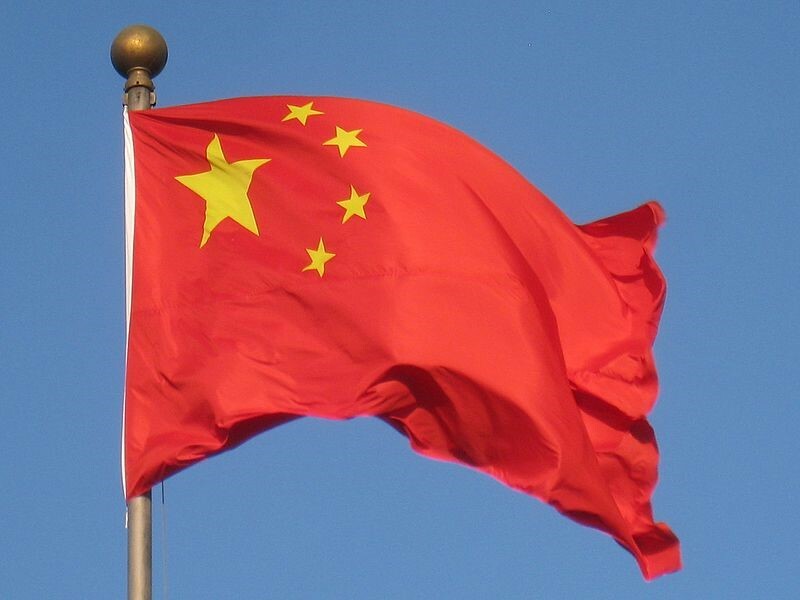 China is a fascinating country that is staking a heavy claim in the modern world. With a mix of ancient cultures, a rich history, an abundance of beautiful nature, and the some of the biggest cities in the world, any traveling professional is likely to have an exhilarating and eye-opening experience. The intoxicating cuisine is enough to lure me in! It’s a good idea to internalize the visa process and always keep a timeline in your head. Things take time, and knowing the costs, timelines, and documents needed, will really help you achieve and maintain optimal success and ease while transitioning to China. Thanks for reading, and I truly wish you luck and prosperity in your transition process. The demand for English teaching and language services is high in China, and there are great opportunities available for serious teachers. By requesting previous employment verification letters that detail two years of experience from applicants, it’s clear that China is looking to refine their pool of language instructors. It will be interesting to see how the new process holds up against the heavy demand to fill teaching positions. Things are being tightly regulated now, but with such a high demand, strict guidelines, and lengthy visa processes, I wouldn’t be surprised if loopholes begin to form in the policies when institutions are unable to procure teachers in due time. Regardless, I hope everyone who goes to teach in China puts forth their 100% effort to be a great teacher, and an inspirational role model. Gamlam, Richelle . “How the ESL Industry in China is Changing .” Go Overseas. Go Overseas, 02 Jan. 2016. Web. 18 June 2017. Shira & Associates, Dezan. “Obtaining China’s New Unified Foreign Work Permit.” China Briefing. China Briefing, 25 Nov. 2016. Web. 18 June 2017. 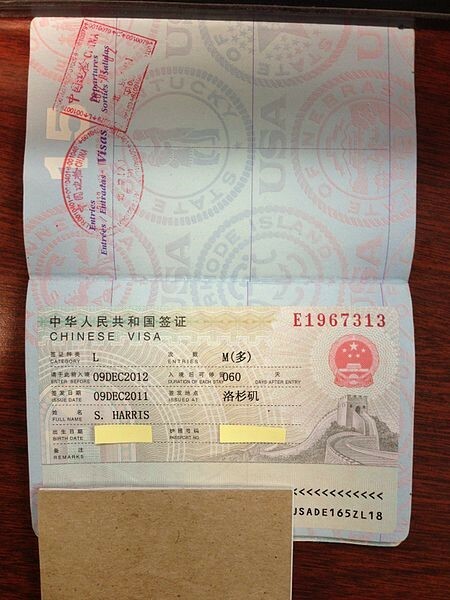 “Update China Visa Rules And Policy (year 2013-2016) in Shanghai.” Visa in China. Meshing Consultancy Services Co., Ltd., Mar. 2017. Web. 18 June 2017. Yang, Grace. “China’s New Foreigner Work Permit System Goes National On April 1: Have you Checked Your Employment Contract?” China Law Blog. Harris Bricken, 31 Mar. 2017. Web. 18 June 2017. I have cautions for possession of small amount of cannabis 1998, 2002, 2010. And a conditional discharge for a minor public order offense in 2007. All are spent and minor. Is it even worth applying for a work visa to teach English there? I’m doing my CELTA at the moment, and have 2 degrees (Sociology and Law). I want to be totally truthful with all authorities, but if I have a criminal ‘record’, (if I cannot produce a certificate of no criminal record) is it an automatic ‘no’ from countries like China (and others in South East Asia? )?